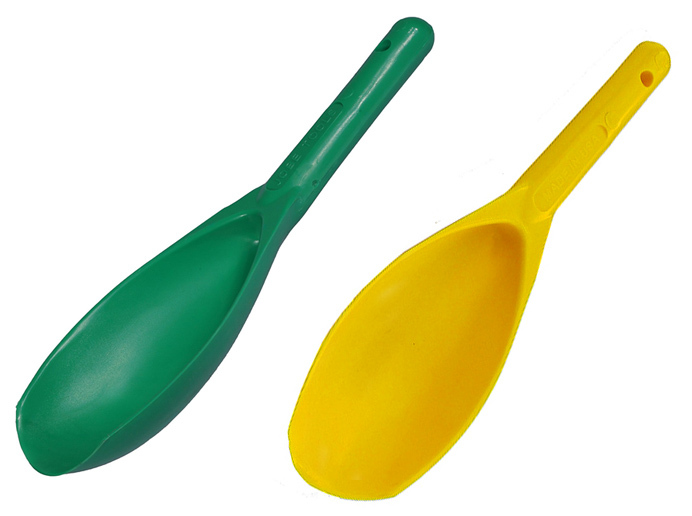 Reinforced plastic scoop designed to recover nuggets and help you locate them in the scoop with your detector. The tool is over 12 inches long from tip to tip and the scoop is almost 4 inches wide. Also ideal for feeding small amounts of material into your sluice, Gold Cube, spiral wheel, or any other gold recovery equipment when a shovel full is too much. Choose color from drop down menu. Colors vary due to availability.